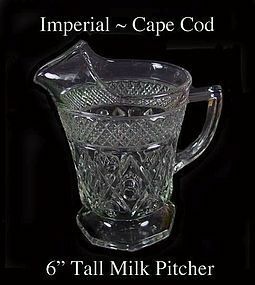 This 16 oz 1 pint Cape Cod milk pitcher was made by Imperial Glass Co. and is in excellent condition! 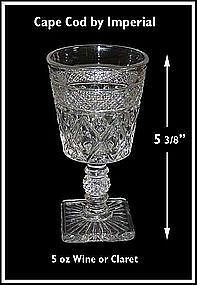 We have 1 pitcher available for $18.00 + shipping. 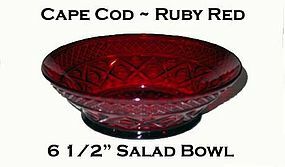 This Cape Cod dark ruby 6 1/2" salad bowl is in excellent condition! 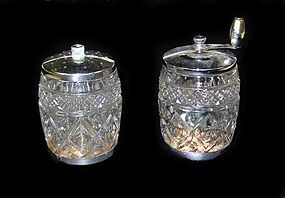 It was made as a limited production by Imperial Glass. These unusual Cape Cod Shakers were only made in 1948. 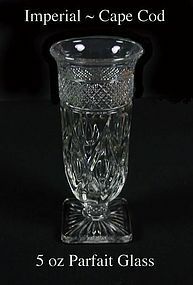 The glass is perfect. The chrome tops need to be cleaned a little. 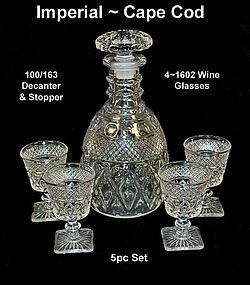 Imperial Glass is the maker. 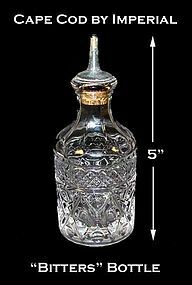 This Cape Cod Bitters Bottle is in great condition. Not cloudy, but has minor corrosion on metal part. 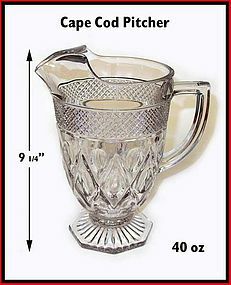 This pitcher is #160/19 Imperial Cape Cod footed pitcher. No chips, no scratches. Has a mold mark on the handle. Not cracked. 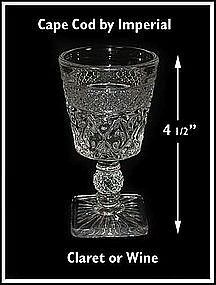 These Cape Cod tall clarets or tall wines were made by Imperial and are in excellent condition. 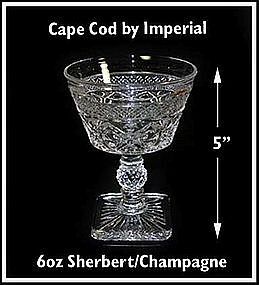 These 6 oz champagne/sherberts were made by Imperial and are in excellent condition. 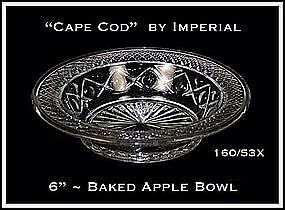 This Imperial Cape Cod Baked Apple rimmed bowl was made from 1932-1978, and is in excellent condition! The official Imperial line number is 160/53X.